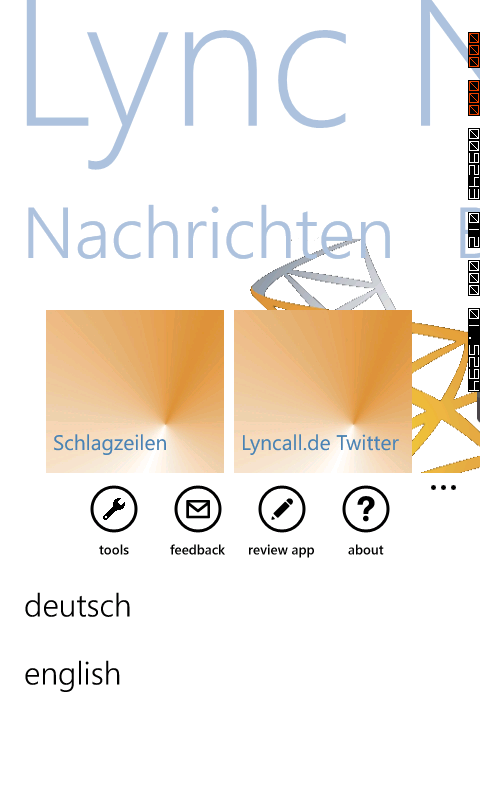 I just got the e-mail from Microsoft that version 2.3 of Lync News has been approved. It should show up sometime in the next 24 hours as an update in the Marketplace. The major new feature is moving the blogs to their own section. I pulled the feedback icon and replaced it with an icon that toggles. Press it once and see the Blogs. Press it a second time and return to the News setion. The main reason for this is that there are now so many blogs listed that the startup performance has become basically unusable. The main reason for this delay is the feature which goes out and tries to grab a picture for the icon. Sadly, I have disabled this feature but the app is way more responsive. Also, for me at least, the Headlines section quit working, so I made an adjustment that should not only fix that, but make the wait for the download to be much quicker. So far, Lync News has been downloaded 4,541 times.